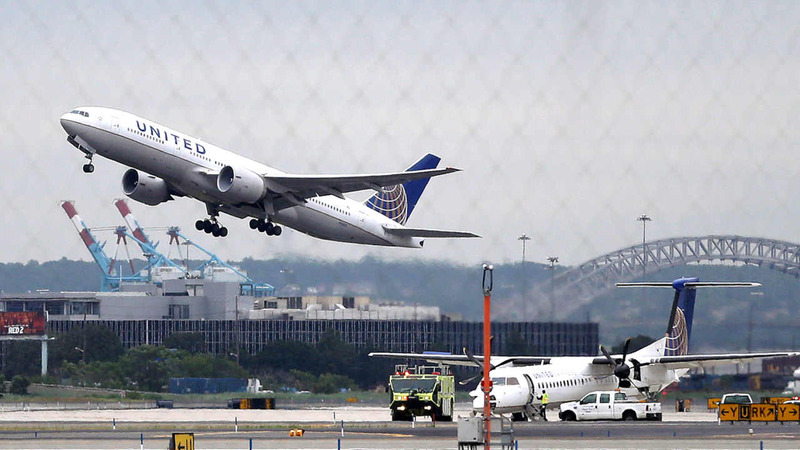 NEWARK (WABC) -- Top United Airlines executives are out, because of an investigation into the airline's dealings with the former chairman of the agency that operates New York-area airports. United, which has a major hub at Newark-Liberty Airport, announced Tuesday that chairman and CEO Jeff Smisek has stepped down. The executive vice president of communications and senior vice president of corporate and government affairs for United also resigned. The airline confirmed that the moves are connected to a federal investigation of the Port Authority. The claim is that United improperly sought to influence senior officials. Specifically, a so-called chairman's flight was frequently flown by Port Authority Chairman David Samson, who took a flight between Newark and Columbia, South Carolina, near where Samson's wife has a home. United canceled the route days after Samson resigned from the Port Authority. "The departures announced today are in connection with the company's previously disclosed internal investigation related to the federal investigation associated with the Port Authority of New York and New Jersey. The investigations are ongoing and the company continues to cooperate with the government," the airline said. Railroad executive Oscar Munoz was named CEO and president. United disclosed earlier this year that the company and some of its executives had received subpoenas from a federal grand jury for information about its dealings with the Port Authority of New York and New Jersey. United said it was conducting its own internal investigation. Samson's activities have been subject of document requests from the U.S. attorney's office in New Jersey, including Samson's votes on United Airlines projects at Newark Airport at the same time United was restarting flights from Newark to Columbia, South Carolina, near where Samson has a vacation home. United began an about twice-weekly direct flight from Newark to Columbia that began after Samson became chairman and was canceled days after he resigned last year. Smisek was CEO of Continental Airlines before it merged with United in 2010. He has been under pressure for several years as United was slower than Delta Air Lines to return to profitability and also suffered several embarrassing computer outages, the latest in June and July, that led to large numbers of delays and canceled flights. A filing Tuesday with the Securities and Exchange Commission described the terms of Smisek's separation agreement. He'll receive a separation payment in the amount of $4,875,000, and remain eligible for a pro-rated bonus. Smisek will have health insurance until his is eligible for Medicare, and maintain flight benefits and parking privileges for the remainder of his lifetime. He also gets to keep his company car. Smisek also agreed to cooperate fully with United "in the defense, prosecution or conduct of any claims or investigations which relate to events or occurrences that transpired" while Smisek was employed. Samson, a former state attorney general in New Jersey, headed Gov. Chris Christie's transition team and was appointed chairman of the Port Authority by Christie in in 2011. He resigned in March 2014, several months after the scandal surrounding politically motivated lane closures at the George Washington Bridge the previous September. Munoz was a United board member and chief operating officer at freight railroad CSX Corp. Another director, Henry L. Meyer III, was named non-executive chairman. In a letter to employees, Munoz said that executive vice president Nene Foxhall and senior vice president Mark Anderson also stepped down. Both oversaw government affairs at the Chicago-based airline. Munoz said the company had an "incredible opportunity" to increase earnings and improve the flying experience.